We look forward to your call, your mail or to your letter. At the beginning of a new year the association will issue a tax deductible receipt of your donation. The children of Phugmoche say thank-you! Phugmoche's former sponsoring association, Freunde Nepals, has approved of founding an association for the support of the project. 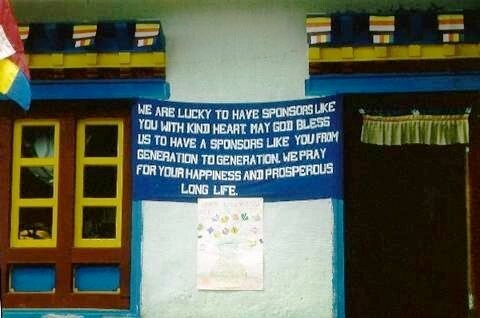 On 14th August 2004, Phugmoche-Nepal Association came into being. The founding members are: Anneliese Dietrich, Werner Dietrich, Petra Jörns, Birgid Rickers, Ralf Schultz, Sigrun Tassidis, Klemens Thoma and Silke Wegener. On the occasion of the first General Members' Meeting on 1st October 2005 in Aschaffenburg the membership subscription was agreed upon the amount of 25 € per year. A membership can be acquired by an individual person or by a family.